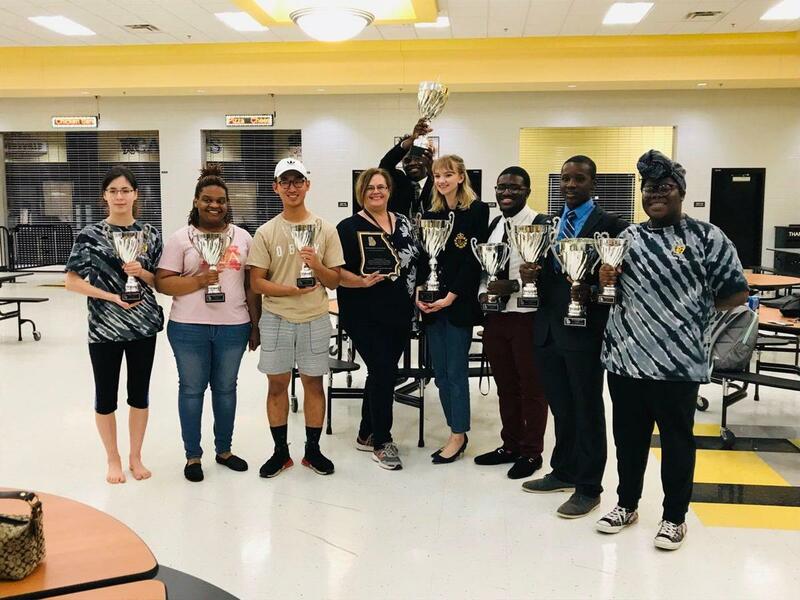 The VHS Speech and Debate Team recently earned their first Varsity State Champions at the 2019 GFCA Varsity State Championships held on the campus of Valdosta High School. More than 300 competitors from around the state gathered to compete in eleven different events. Kathryn Plumb earned Champion in Dramatic Interpretation and Joshwell Thompson in Program of Oral Interpretation. Additionally, Anthony Agbali was named the Novice Champion in Original Oratory. - Original Oratory - Runner-up, Anthony Agbali. The team came in Third Place overall, Third Place in Speech Events, and Head Coach Pamela Childress was named the Speech Coach of the Year. 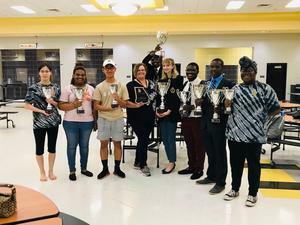 The Speech and Debate Cats, Coached by Pamela Childress and Community Coach Brianna Crockett will wrapped up their 2018-19 competition season at the NSDA Nationals Qualifier on March 23 in Jackson, Georgia.